This shower cream is created for taking care of dry skin with an enrichment in Organic Virgin Coconut Oil promoting for a soft and smooth skin after use. Rich creamy lotion with Organic Virgin Coconut Oil is effectively fighting flakiness and leaves only skin nourished and hydrated all day. Body cream scrub enriched in Coconut Shell Powder exfoliating for a soft and smooth skin while Organic Virgin Coconut Oil leaves skin moisturized and nourished. Your skin will be noticeably radiant, toned and youthful. This unique massage oil is cordially created for muscle relaxation while a natural base from Organic Virgin Coconut Oil is quickly absorbed and leaves only a non-greasy but tempted-soft skin. It also soothes and revitalizes your skin for a tone and refine skin. Bath & Bloom Virgin Coconut Oil, certified organic by USDA, is enriched in natural vitamin E so you can apply on body for nourishing skin and on hair for soft and sleek hair. VIRGIN COCONUT HAND CREAM ヴァージンココナッツ　ハンドクリーム Enrich with certified Organic Virgin Coconut Oil, your hands will be naturally soft and nourish. An addition of wheat germ extract promotes healthy and smooth hands and nails. Enjoy a tropical beauty on your hands throughout a day. Miss a tropical sunshine on the beach? Let Bath & Bloom Virgin Coconut Aroma Oil fill your day with a sweet calming scent just like sunbathing on a white sand beach. 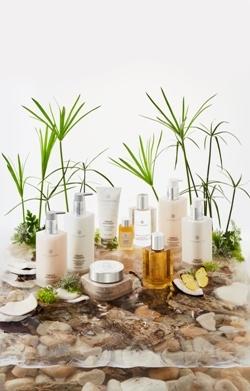 This product offers you a calm and peaceful scent just like relaxing on a secluded tropical island. Experience this exotic scent from Bath & Bloom Virgin Coconut Room Essence and enjoy the wellbeing sense of Asian tranquility. 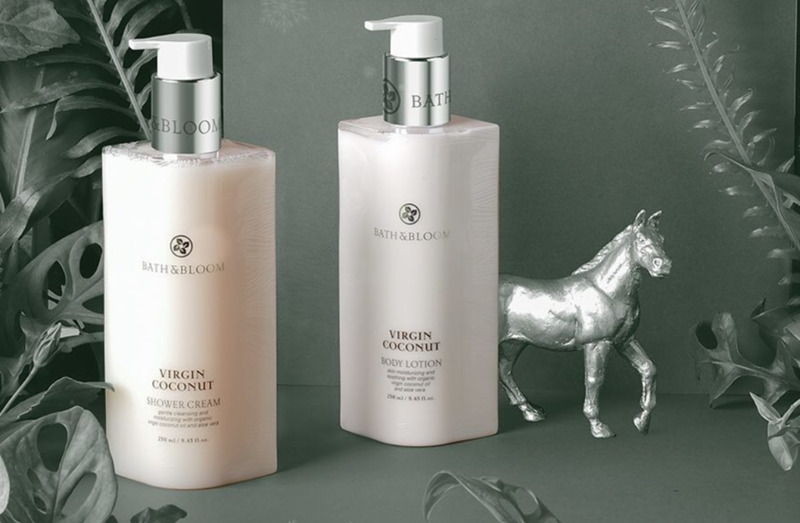 Bath & Bloom Virgin Coconut Hand Wash offers you a creamy hand washing liquid to promote lean and soft hands. With organic ingredients for sanitizing, your hands will be naturally clean and chemical free. 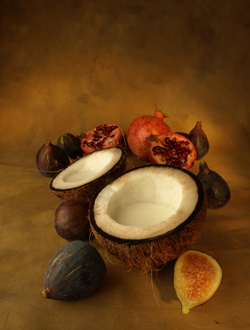 A sweet and calm scent from Coconut brings you a nice relaxing moment after use.